After the passing of Stanley Pranin, founder of Aikido Journal, we organized a survey to get to know the aikido community better and learn more about its priorities. 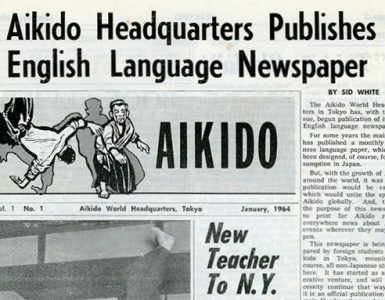 We’ll soon share more data, but the community voiced a clear interest in putting more focus on addressing important challenges facing the world of aikido today. One such issue is the perception of aikido in the broader martial arts world. When asked to identify the biggest problem or challenge faced today as an aikido practitioner or instructor, 40% of almost 700 open-ended responses focused on relevance, effectiveness, and the perception of aikido by the public. The community listed a number of important challenges but this theme was overwhelming in its dominance. On the occasion of the passing of Stanley Pranin, Roy found himself contemplating the future of aikido. Believing public interest in aikido is declining, Roy reflected on an episode of The Joe Rogan Podcast in which aikido was discussed. In 2015, Joe Rogan hosted a guest on his podcast who engaged in a discussion about the art of aikido. The guest, a cognitive neuroscientist, was invited onto Rogan’s show to talk about his work in enhancing cognitive performance. Near the end of the show, the conversation transitioned to the art of aikido (the guest was a practitioner). While the guest showed enthusiasm, he was ill-equipped to discuss the art with a host who has a lifelong passion for the martial arts and decades of experience in the competitive martial arts world. Rogan, a BJJ black belt, left the interview skeptical of aikido, its relevance, and its effectiveness. The Joe Rogan podcast has 16 million monthly downloads. It’s clear this was not a victory for the world of aikido. If you’d like to see the dialogue, start this video at 2:30:00. Roy believes the art of aikido is dying. Moved by the passing of Stanley Pranin, he felt motivated to produce a video to serve as an open letter to Joe Rogan. He wants to go on the Joe Rogan podcast and talk about aikido as a proponent of the art. He’s asked me to join him on the show should Rogan wish to have a second conversation about aikido. I believe Roy speaks honestly, from a place of respect and love for the art of aikido. You may not agree with all of Roy’s points, but I believe all aikidoka should watch his 6 minute video and reflect on his perspective. Roy sees the art of aikido at a critical inflection point. He believes that any martial art will become increasingly diluted with each passing generation unless there’s a movement to employ the scientific method to rediscover effectiveness. Roy thinks now is the time for aikido to engage in this endeavor. He believes aikido has a great deal to offer the martial arts world and wants to see it become as successful, relevant, and valuable to the martial arts world as possible. This quest to revitalize the practice and teaching of aikido has increasingly shaped the direction of Ikazuchi Dojo over the last few years. With Matsuoka Sensei as a role model, we’ve embraced the difficult and often painful process of “rediscovering effectiveness”, not only with our technique, but with instructional methods and dojo management. Being realistic about the strengths and limitations of the art (and our own capabilities) has freed us to focus on how we can make aikido more relevant, valuable, and effective: more effective as a self-defense system; more effective as an experiential learning tool; more effective as a movement performance system; more effective as a health practice. We’ve committed ourselves to self-criticism, sincerely seeking advice from outside experts, and taking action to improve. We believe this effort has fueled our students’ enthusiasm, dedication, and development. Just as important as the technical, instructional, and management improvements we’ve made are the friendships and mutual respect we’ve built throughout the broader martial arts community. We’ve received advice, support, and encouragement from leaders in arts such as kali, karate, tai chi, and now Brazilian jiu jitsu. Improving the effectiveness and relevance of what we’re doing. Becoming better at communicating with the public about the purpose, value, and story of aikido, and its place in the martial arts world. Roy sees Stanley Pranin’s passing as an inflection point for the art of aikido. What do we do at this critical juncture? Do we maintain the status quo? Do we slowly decline and gradually fade into obscurity? Or do we make a cultural shift to become our own harshest critics, examine the most important flaws in our technique, culture, and training methods, and take action to transform them? Is it possible for a global aikido community to work together as a coordinated team to identify and solve the most pressing problems in the aikido world? Does the will exist in the community to allow this to happen? Can we build the communication and organizational infrastructure to make it happen? I came to Aikido from another martial art. In that art I obtained a 4 th degree level. Now that I started over again and reached a Shodan level I have an appreciation for others opinion. The one topic that always gets me is politics and the power it has. Even in the beginning politics almost destroyed Aikido and it was over a difference of opinion. Let’s face it all martial arts will change. Traditions always fade in society. Aikido is no different. I had a quick disagreement with another student over how to tie a hakama. At the end I simply stated I am here for the art. Not some much for tradition. I feel that is aikido’s problem. There are many techniques out there as there are Sensei’s. I realitythis is good. And that is the challenge in today’s fast past Aikido world. The days of spending hours in meditations in seize are coming to a end in my opinion. Ego and politics are two things that have no place in Aikido, or other martial arts, but it seems as if misplaced passion sometimes turns into one of those. Well put, we must allow Aikido to grow, therefore change. I respect the direction of the Ueshiba family and other senior teachers, but there must also be a grassroots change allowing influnce from other sources to create a revitalised Aikido. I am RokuDan in Daito-Ryu Aiki-Jujutsu , I have 52 years of training in 3 forms of Martial arts and have stayed with Aiki for the last 36 years.I make a living as a Bouncer , so trust me , it works .I invite Rogan to come to my Dojo and we shall see . I have an open mat policy , so what do you say Rogan? I think that you missed the whole point of the above article. Then maybe you should say what that point is, in your opinion. I think all martial arts taught today have weaknesses in their systems. Gracie Torrance or Barra both have critical flaws to their systems. Fighting in the UFC ring is not the benchmark for survival on the street or battlefield. Having trained in several arts including Aikido, I understand what Joe Rogan is stipulating as a majority of Aikido practitioners that I have worked out with cannot go “toe to toe” with a BJJ practitioner, especially if the rules favor the BJJ practitioner. So does this mean the art is flawed? I do not know if Aikido is dying in America as Roy Dean has stated but if it is then I would hold the Aikido community and it’s instructors to fault. It is the responsibility of the Aikido community to maintain it’s standards and self promotion. If Aikido is dying because it is not evolving, then maybe it should. Evolution in combat arts is a natural progression and history has shown the arts/styles that fail to evolve are no longer. That is the nature of things. It is not the point of an “martial art” to evolve. The point is to “preserve”. If you want evolution, practice a self defense system. Or if you want an art to evolve, found a new one with a new name. E.g. American Kempo etc. I disagree, like the book Saotome wrote “Aikido and the harmony nature” nature is always changing, adapting, flowing, evolving never stagnate we shouldnt be either…based on that thought alone, aikido should change and adapt. If you want to preserve study a koryu or daito ryu. Thank you very much for honoring the passing of Stanley Pranin. I first came into contact with Sensei Stan Pranin in the early 70’s while attending college in Monterey, California where he was giving a demonstration of Aikido. I had a strong back ground in gymnastics, Karate and Judo and after viewing and being called from the audience to participate in the demonstration by attacking Sensei Pranin it was at that moment when he threw me and pined me in a matter of seconds that my heart was opened or introduced to the amazing art of Aikido. I asked Stan after his demonstration to become one of his students and he accepted me and gave me his phone number and address and what time to attend my first work out. I was surprised to find that the dojo at that time was Stans two car garage with mat on a concrete floor. As the Aikido interest grew in Monterey the dojo moved into a larger building along with Stan who had given up his home to live in the new rather expensive dojo he created in Pacific Grove. The classes were two hours a day 7 days a week with a very dedicated group of students a lot of whom are still practicing to this day, people like Pat Hendrix and Tom Gamble had just started in the art, Stan was a 3rd degree black belt at that time. We were taught Japanese along with the history and beginning of Aikido which started out as Aikijutsu. Sensei’s Sunday classes were for weapons training, jo, bo and tanto. Stan’s teachings at that time stressed the importance of atemi to first separate the mind from the body in order to use an Aikido techniques. He also constantly pointed out that Aikido was created from bo (sword) techniques with a very strong jujutsu background the founder O’Sensei had before his enlightenment and creation of what we know as Aikido today. It was called several names before the war such as Aikijutsu, Aikibudo etc. After the war during martial law in Japan it was actually taught in secret and a person had to have an introduction and be at least a shodan in another art before they were allowed to start training in Aikido. I can tell story upon story but I need to cut this short so I don’t take up too much of your time. Sensei Pranin was such a dedicated teacher and student of the art it saddens me in one respect to learn of his passing but in another respect I know he is with O’Sensei and all the other great Aikidoist’s that have passed so he can truly say “Now I am the Universe”. Sensei had many teacher’s he admired in Aikido and several other martial arts but I did ask him one day that since he was a teacher now who did he consider his teacher is?? He just smiled and said O’Sensei. He followed O’Sensei through books and films along with others who had actually studied with him. He became the historian of the Art which he dedicated his life to. Aikido is a way of harmonizing energy. It is silly to call it “unrealistic”. Individuals can be unrealistic and fighting in a cage in front of a cameras and a mob is not realistic, nor did it ever happened to me. I train aikido for almost 20 years and, thanks to aikido, I managed to avoid conflict more times than I can count. Few times conflict was inevitable, and thanks to specific aikido phylosophy and years of training nobody was seriously injured. As far as more realistic aikido (aiki-jutsu) technics,I recommend Serbian based Real Aikido style. Joe Rogan, Roy Dean, Edward Glasheen, Ed Graney, Michael Tan and others have a valid point. I began my training in aikido in 1988. Since then, I’ve always heard from other people that aikido did not work. As I continued my training, I discovered that my aikido needs to evolve – much like the other aikido masters (Senseis Chiba, Kanai, Saito, Nisho etc) – their styles of aikido are different from each other. They evolved. How do we know that these aikido masters stayed with tradition? 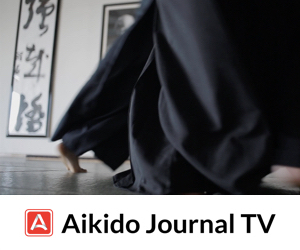 Some did but others changed the aikido that O’Sensei showed them – just observe their style. Aikido alone may or may not work but it all depends on the situation. Are we talking about aikido vs BJJ? Are we talking about Filipino Martial Arts vs BJJ? Are we talking about Aikido v Filipino Martial Arts (FMA)? Are we talking about just scoring points? Let’s look at a scenario. Many people carry pocket knives. A BJJ practitioner gets into a fight and pulls guard. The person in the guard panics and pulls his knife out of his pocket and begins stabbing. Another scenario is an assailant pulls a knife or a machete, can aikidoka disarm the assailant who is wildly swinging at full speed. Many of us have put in equity sweat on the mat. We’ve put in our time and continued to do so. We discover that training is a journey. For my journey in aikido, I decided that MY aikido needs to evolve to be effective. So, in 2008, I began my training in Brazilian Jiu-Jitsu. A few years later, I also started training in FMA. Now, most of my students cross-train in either Aikido and BJJ or Aikido and FMA. For over a decade now, I host an aikido seminar with an eye towards incorporating elements of BJJ and FMA. Many aikido purists ridiculed and/or scoffed at the seminar. There are many aikido groups that are closed-minded. I advocate on cross-training on other martial art discipline and discover how it can contribute to the growth of my aikido skills. I was delighted to see a video of Ikazuchi Dojo hosting an FMA group. “Finally, another aikido group is looking into FMA to understand aikido.” For my training, I’m discovering aikido’s limitations and its effectiveness through BJJ and FMA. What Joe Rogan concluded in his interview stings. What Roy Dean said rings some truth in it. 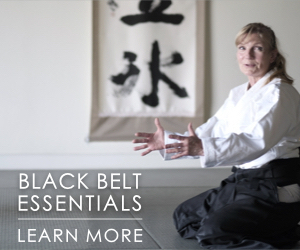 I asked myself “what am I prepared to do?” I put on a white colored belt and cross-trained in other arts to discover and begin to understand the ever changing landscape of the martial arts world and how my aikido can stay relevant. I thank you Matsuoka Sensei and Gold San for hosting these exchanges. With gassho, domo arigatou gozaimasu. Thank you so much for your input and support. I think you’re showing great leadership, not just in your dojo, but in the broader martial arts community. We are proud to have you contributing to the discussion. Being a champion IS a tremendous amount of work. The aikido pioneers truly did champion the art throughout the world, often giving up their homes to carry and plant the tree of aikido on foreign soil. Being a champion is rarely a part-time avocation. Did the tree bear fruit? Undoubtedly, even if most of it fell to the ground and spoiled or was eaten by the birds and bugs, there are new trees growing to take the place of the old. Not only does each generation need to rediscover effectiveness and relevance, each student (especially those who would also teach) must individually rediscover effectiveness and relevance. That is learning the art. Without that, we are learning an aikido-shaped shadow-dance. I do think if we are to have a global conversation within and without the art form, we must be clear on what we mean by the words “effectiveness” and “relevance”. I think that while O’sensei talked long about the spiritual significance of his art, his students who went to pick fights with the dock workers may not have been finding it relevant even as they were discovering their own conception of effective. Cage fighting MMA, nor boxing, nor any other art gets to automatically claim more relevance, or effectiveness, than another art. The “art” is in the teaching, and the learning, and the practice. The “effectiveness” is in the individual. No match,or contest, or fight, or critical defensive situation is art-on-art. It is always individual on individual (or small group). The art does not bleed, only the individual bleeds. That is why contests never end, there is always the next match, there is always a next champion. Aikido will live while there are dedicated people to carry the art into their lives, to champion it, to disseminate it to others. It will struggle if it tries to sublimate its own art for the art of another and compete on a field shaped by a different set of values. Well written! I agree with you 100% here. Aikido is not designed to be a cage fighting sport, and it has no need to move that direction. The aikido world is huge and effectiveness should be considered from the perspective of self-defense, but also from other perspectives as well – as a self-improvement system, etc. Even from the perspective of us becoming more effective at teaching and communicating about the art. Same thing with relevance. As long as we aikidoka understand the strengths and limitations of our art, we will be better able to communicate to others how aikido’s strengths and areas of specialization deliver relevant applications, whether in the form of a martial art focused on asymmetric threats (multiple attackers, a larger attacker, etc.) or even in terms of using it to teach falling or as an experiential learning tool. I think the more we can move the conversation away from apples to oranges comparisons and more towards understanding the context and respective applications and tactical basis for various arts, the better off we will be and the better aikido can serve everyone. Thanks for joining the conversation. Wow, Roy Dean rules. Well said, thoughtful, and obviously passionate about Aikido. First of all thank you for honoring Pranin Sensei’s significant journalistic contribution to Aiki. Over the years I came to rely on him for historically accurate information about the way. I find comparisons about martial arts and the overall dismissive attitude towards Aikido ludicrous. Of course Aikido is less than effective in the ring with mixed martial arts. Everything about that ring and those cameras and the drunk mob and the rules by which that sport is governed favor the style which founded it. And rightly so. O’Sensei found competition abhorrence and antithetical to the study if Aiki for a very good reason. Competition is diametrically opposed to the principles of Aiki. O’Sensei and Takeda ysensei before him understood that the world simply did not require another codified system for destroying people. Instead with the world required was a method for improving people. Aikido is such a method. It combines Martial traditions, effective techniques and spiritual philosophy to provide a path for a lifelong pursuit of excellence and achievement. It incorporates cooperation, the one thing that makes us most human, and compassion for each other to facilitate self growth. It has the unique aspect of being applicable for people regardless of age or level of fitness and strength. That is an incredibly valuable attribute. If you have personal security challenges go buy a had glock and a box of ammunition and train at a shooting range. If however you want to experience a deep sense of community, accelerated personal growth, spiritual enrichment And a connection with historical martial arts, than I invite you to study Aiki. Thanks for your input and for joining the conversation. I for one, agree with you. I think there are too many apples to oranges comparisons between arts when it would be healthier and more productive to instead focus on understanding what each art specializes in and the context for its techniques and training methods. I think that’s what Roy is trying to get at with his video and his conversation. Helping people understand that BJJ, MMA, etc. are designed for different purposes and instead of being directly compared to aikido (in the context of a cage or grappling match), we should better understand how aikido fits into the larger landscape of the martial arts world. I also think you bring up an excellent point in that one huge value aikido provides to the martial arts world is a practice system that functions well with practitioners of any age, large or small. Nice to meet you here and thanks again for your input! I think talking with Joe Rogan about aikido is a good idea, but as an avid listener of his podcast, the many of the arguments presented in this thread are unlikely to get our man a place at the table. Joe Rogan, and much of his audience, are steeped in MMA history and equate “effectiveness” with “having been tested against all comers”. Therefore, in my view, the persuasive argument to get a seat at the table isn’t about how effective sankyo can be, but rather how aikido could fit into the making people who are masters of multiple martial arts better fighters. If I think about the evolution of mma as a continuous test against all comers, it looks sort of like this: in gen 1(submission grappling movement), bjj dominated because most people couldn’t defend takedowns and those that could, went to the ground by choice and for the most part lost via various submissions. In gen 2 (wrestle-boxing movement), everyone learned the basics of submission wrestling and bjj, allowing top-level kickboxers of various styles a chance to start knocking out pure grapplers who never learned high level striking. In Gen 3 (movement movement), the latest generation, everyone is an expert grappler or striker, and also proficient in whichever platform they aren’t an expert with the differentiating factor between an elite fighter and an great fighter being, more often than not, their ability to flow efficiently between techniques and ranges. In my opinion, mma is still in gen 2 for the most part, as the majority of current fighters are still wrestle-boxers, albeit extremely high-level. It won’t be until the ability to expertly flow between attacking and defending across all the ranges is a prerequisite that gen 3 mma will truly exist. Aikido excels at teaching fighters how to flow with attacks and move effectively between ranges. It is in helping to usher in the next generation of mma, that aikido can stay relevant in the public conversation about “effective fighting”. Fantastic feedback and guidance. I’m going to share this directly with Roy via email. The insight and perspective of your comment is unique among the hundreds of conversation threads we’ve seen on this article. You make some great points. In fact many of the responses here make great arguments. The irony of this whole thing is that aikido is supposed to be the next step in a person’s jujitsu. It is a concept of jujitsu of which their are many styles that emphasize different things. BJJ is really judo that emphasizes the wrestling. Other styles emphasize weapons, etc. But they all share the same basic techniques or throwing, projecting, taking down, striking and weapons (sword, knife, staff, baton) Aikido ‘techniques’ are your standard jujitsu techniques, with less emphasis on grappling, due to the danger of being killed or maimed during battle while wrestling on the ground with your opponent. There are number of videos that show what happens to soldiers and police officers while they try to wrestle a person in a combat situation. It is in the practice that makes the difference. O Sensei was known for taking on all comers. He could break your bones with his strikes, crush you wrist with his grip, project you a couple dozen feet, he was an expert in weapons, etc. And if you read his two instructional manuals, Atemi, or striking is supposed to be 70-80 percent of aikido techniques! And in his demonstrations, he was so stable, people could not grapple him or take him down standing or while on the ground! Remember, jujitsu and judo fights in O Sensei’s days were often lethal, or you got maimed. There is a reason that the top jujitsu, judo, karate, etc. students sought him out. He faced swordsman, marksmen, boxers, kick boxers, etc. He was a combat vet who trained special forces and dispatched bandits in the rugged wilderness of Hokkaido while carving out a community with his bare hands. There are no MMA fighters of this caliber or ability. One of the earlier posts mentioned the purpose of studying aikido and was correct, to paraphrase O Sensei, ‘aikido is not a method or vehicle for the destruction of others…’ so the conversation with Joe Rogan in regards to aikido was out of context. But, I think it would be important for a discussion to happen so that real practitioners of aikido who have crossed trained in other arts can give a fuller perspective on its effectiveness. By the way, some of the Gracies are complaining about the effectiveness of BJJ and the way its practiced for sport verses self defense. The Jundokan Goju Ryu expelled many dojo a few years ago due to the difference between sport karate and tradition self defense. In Shin Gi Tai Jujitsu under John Saylor Sensei, you have to choose between the sport or self defense track as your focus. MMA is limited to rules just like BJJ which change the techniques and the effectiveness of the art. MMA students tend to wash out quickly because of injury and do not develop much martial skill, but usually are in great shape, tough, and willing to fight.Traditionally, this was called a white belt! It takes many years to develop into an athelete and there are consequences! Thai boxing, boxing, kickboxing, full contact karate, judo, jujitsu, MMA, etc all come at the cost of destroying your body and mind (brain). So their has always been a constant tug of war between what is and is not effective training. Traditional students no longer train good kicking/punching/grappling skills required in any effective martial art. Traditionally, in most disciplines, open challenges between students, schools, and strangers coming to schools to challenge was normal. This allowed you to constantly test and modify your art, regardless of its name or origin. Lastly, and sorry this was so long….but their is aikido all over MMA. When you see clean, effortless technique, whether it was a strike, a perfect throw or takedown, smooth ground movement, effortless, flawless technique…this is aikido. Traditionally, top jujitsu practitioners like O Sensei in Daito Ryu Jujitsu, could demonstrate Aiki. So when you see fighters like Anderson Silva, you are seeing this concept demonstrated in MMA. I don’t say much on this topic as to me the philosophy is a very personal journey, however, you heartfelt request compels me. My personal view is the we need to firstly understand the nature of what is meant by “martial art”. A martial art is not about fighting….. in its crudest form, it is about achieving your outcome by succeeding your opponent. The most raw and narrow example of this is, in hand to hand combat, submitting the opponent. The most complex example is politics. There is obviously many levels in between, graded on distance and effect on opponent, from obliteration to win-win. Roy, as you have said, each has its arena, and only through an open approach to understanding each arts baseline (I.e. Minimum a Black belt with reputable Sensei) will you appreciate the real reason for each arts existence. My personal journey is about developing my mind to be comfortable in conflict and reacting calmly to achieve a beneficial outcome. To develop an approach that blends during conflict rather than one that believes that having superior physical skills will achieve the best outcome. Unfortunately, I also believe Aikido is on the wain, mainly due to societies evolution into a mindset of quick win, capatalistic, dog eat dog thinking. This approach is a disposable mindset which is very “effective” in the middle section of our lives for aggressive approaches to conflict, however, as we age and over the long term, it reduces its effectiveness due to many factors. In general, I believe Western society, and it appears more recently, Eastern societies, are beginning to loose an understanding of the the big picture. This is cyclical. Read about the cycles of economic depressions aligning to the ages of those who lived through them. I feel that we need to bolster the rationale associated with the fundamentals of why the art exists and why it came to fruition. It was born out of the need to find a viable alternative to physical conflict and fighting mind. By evolving from war era, an environment that was raw relating to physical conflict to hurt someone, to an training that used the physicality to represent an alternative to managing conflict. I to am thankful to Stanley Pranin for his amazing achievement. His legacy may reduce in popularity over the short term, however as time does cycle, it will be there when society rediscovers the true nature and purpose of Aikido and what it was trying to achieve. I applaud your passion surrounding Aikido and the message, however, We need to be very careful that we do not get drawn into a fight through ego to “prove” Aikido has a place. Let’s all take up Staleys lead and make sure that it’s true purpose is well understood so that its value amongst the “martial arts” is recognised. Well written. Thank you for thoughtfully contributing to the discussion Andrew. Until the art of aikido embraces what Aiki-do was- with the power generation practices of is founder, Ueshiba- they will never, in this life time, understand what aiki-do was meant to be. They know nothing of it’s one true treasure;unusual power: how a punch is devastating and measurably damaging over a normal person, how your balance is remarkable and makes you very difficult to take down, how you can be very difficult to lock up. Aiki-do’s one true strength didn’t have a damn thing to do with ANY of is ridiculous techniques. This…is why Aikido is dead and increasingly irrelevant as a martial art in the modern world. I travel the world teaching hundreds of Aikido teachers from sandan to shihan, in rooms with Bjj, MMA, Wing Chun, CMA, FMA people present. Ueshiba- was known for unusual power. I have not met a single aikido teacher in the world who has any unusual power. So, for them Ueshiba’s aiki…do, is dead. They don’t have a single idea of What they are doing and how to correct it. Much less what they are missing. Aikido’s technical syllabus is not the answer. It’s founder became a legend…for skills no longer present in the art. I began aikido around 1970 in the UK. My teacher was a student of Shigeho Tanaka and affiliated to the Shiseikan Dojo in Tokyo. Since then I trained with K Chiba, M Kanai, M Kanetsuka and since moving to Japan, with the Aikikai instructor in Hiroshima. I am now independent and directly affiliated with the Aikikai. I met Stanley Pranin many years ago, probably since coming to live in Hiroshima in 1980, and began writing for Aikido Journal. Stan and I became good friends and we used to meet regularly in Tokyo at the All-Japan Aikido Demonstration in May. Actually, one of the main reasons for going to this demonstration was to meet Stan and talk. On one occasion we interviewed Sadateru Arikawa in my hotel room after the demonstration, but it has never been published. Arikawa Sensei said it was “too soon.” Probably it is somewhere in the AJ archives. I got to know K Chiba quite well, well enough to have quite severe arguments and we often debated the ura side of aikido and aikido organizations. Chiba Shihan strongly advised me not to come to Japan for aikido alone, so I taught English and later language philosophy at Hiroshima University in order to have an independent base for living here. This meant that I had to become fluent in Japanese, especially the written language, and this formed the opening to the study of Japanese history and culture. Before retiring I moved to another campus and taught comparative culture and rhetoric to Japanese company employees and government bureaucrats in the graduate school. On one occasion Stan sent me the Budo volume, produced in 1938. He took the trouble to make a good photocopy of the Japanese original. The present Doshu had showed me the sole copy they had in the Aikikai archives. I do not think that aikido is dying. However, it is certainly somewhat different from what was being taught in the Kobukan Dojo from 1931 onwards and I believe that World War II was a major watershed. Actually, I am in two minds about whether what was being taught in the prewar Kobukan Dojo was actually worth saving — and I think Kisshomaru Ueshiba saw this, also. One way of putting this is that it has ceased to be a personal plaything of Morihei Ueshiba, who was up there on the floating bridge of heaven with his deities and pretty well remained there until he died. I live in Hiroshima and this city is a very good location to study the shackles that have been imposed on the study of recent Japanese history and how the history influences local culture. I happen to be a director of the Atomic Bomb Museum, which is undergoing repairs, and have a ringside seat to watch the intellectual gymnastics undertaken by those who are deciding how much to present Japan’s militaristic past in the exhibits put on display. The similarities with aikido are sometimes quite painful to see. Just as the Hiroshima government wants to emphasize the special uniqueness of Hiroshima as city dedicated to world peace, the Aikikai wants to emphasize the uniqueness of aikido as a ‘spiritual’ martial art, also dedicated to world peace etc etc. I recently retired as Chairman of the IAF after 20 years in office and the great value of being in this organization for so long is that it has given me many insights about how a supposedly ‘spiritual’ martial art, dedicated to the ‘improvement’ of the individual and supposedly ‘non-cultural,’ in the sense that it can be practiced with benefit by anyone, regardless of gender and culture, has been transformed into a loose grouping of ‘national’ aikido cultures, each with a different view of what aikido should be. And these views are somewhat different. So, though no criticism or offence is intended here, I think the discussion above is rather ‘American’ in tone, in the sense that it would leave most of my Japanese dojo members unmoved. Some members might remember the late Fred Wagstaff, who used to be the caretaker of Kanai Sensei’s New England Aikikai dojo in Cambridge. I gather that Fred used to go out to test his aikido on the street. If he did that here, he would soon be deported, or imprisoned if he was Japanese. Of course, you can make judgments about this, such that aikido in Japan is atrophying or becoming a sham, or like a kabuki play, the implication being that aikido outside Japan is more ‘authentic’ as a martial art. However, for this debate to be of any value to my Japanese dojo members, I think we need to be more precise and define a few terms more precisely. The same can be said for many cultural practices that have been transported outside of their original cultural underpinnings. Case in point-Yoga. Yoga as it is known and practiced around the world has little to do with its origins. In fact what is seen and practiced -just like Aikido-is a westernized corruption. Moreover, both arts; Aikido and Yoga had the seed of their corruption sown within their own country in order to best suit the foreigners who came; Aikido for the hippies who came in the late 60’s and 70’s and Yoga with the influence of German and Swedish contortionists who arrive in India in the early 1900’s. As for Americans? We can definitively state that it was Americans who uncovered the truth about Aikido and Daito Ryu and Ueshiba’s real history. Likewise it was Americans who uncovered the truth about Yoga and the Indian yogis who adopted the popular circus contortionists poses and fed it back to the foreigners. Questions remain; Why should those same foreigners care what those same cultures did to corrupt their own arts? Why should they care Japan’s decisions to foist upon them a watered down, insipid and ever increasingly marginalized art? Why would they care when the methods needed to correct those same arts now lie outside their own country? While I accept your comments about how we sound so “American” and how our arguments would leave your Japanese dojo mates “unmoved,” I would say “Why should we care about that?” What are the benefits of caring about what the Japanese think? They are most assuredly not the best practitioners of it. Nor are they the best teachers. Other than Westerners sophomoric tendencies to worship all things Asian-what do the Japanese possess that would compel people to care about their thoughts regarding Aikido? To reverse this -Americans lost their edge when it came to vehicle production mostly based on a production methodology that we invented and then rejected. The Japanese accepted it whole heartedly and took away “our” cultural edge. While our American verbal and written “arguments” may leave the Japanese unmoved…I can state beyond any doubt that when we who -seriously pursued and achieved some measure of accomplishment in Ueshiba’s methods- meet ANY Japanese Aikido practitioners; Shodan to Shihan…they are most assuredly “moved.” As the physical skills and methods forwarded by the founder of Aikido are simply beyond their intellectual and physical understanding. These practices when added with the current generation’s practices of more stressful testing, like Bjj and MMA, leave the Japanese influence, and their opinions increasingly irrelevant. By their own choosing. One small correction I would make: I have been asked to teach a seminar of Japanese Aikido Shihans in Japan. So there are at least “some” who have been moved by both written argument and foreign students showing Ueshiba’s teaching while in Japan. The future of Aikido…is in its past. The person talking to Joe rogan seems to be a beginner in Aikido? He said there’s a video of O’Sensei in the 70’s?? I don’t think there’s any point getting a senior Aikido teacher like Matsuoka Sensei or the Hombu Shihan on Mr Rogans podcast as he appears closed minded about any martial art that isn’t used in MMA. I’ve been a student and teacher of Aikido for close to 46 years and currently hold the rank of GoDan. I also have a 3rd degree black belt in karate and a purple belt in BJJ. When I first began to learn BJJ I was surprised as to how similar BJJ is to aikido in its philosophy and aplication of technique and how both arts fit together seemlessly. As a former police officer, I have to tell you that my go to art has always been Aikido. I couldn’t round house kick a guy or do a fancy spinning wheel kick but I sure could apply nikkyo and versions of kokyu throws while apprehending a suspect. Aikido has so much to teach that can be applied effectively in a “real life” self defense situation. BJJ as good at it is, in many cases it’s not very practical for self defense. No martial art as a whole is perfect. Joe Rogan is a Tool. He had that guy on his show so he could put aikido down. If he was a serious martial artists and really interested in aikido he would’ve had a more experienced person on his show period. He won’t have an experienced person on his show because it would expose him for the idiot he is. You know what they say about opinions? No one cares about his. Hi Tom! Nice to meet you here. On the Joe Rogan show, the guest was actually on to speak about cognitive neuroscience and only near the end of the discussion did the guest bring up aikido. I don’t think there was any intention on Joe’s part to have the guest on just to bash aikido. Joe definitely knows and loves the competitive martial arts world, but I don’t think he’s openly hostile towards traditional arts. I just think the guest was ill-prepared to end up in that discussion. When one begins to take a martial art, they should first determine why they are doing this- is it to learn to defend themselves, is it for exercise, stress relief,sport competation etc. If it is for defense, especially defense against more than one attacker, then Aikido can be very useful, but it does have its limitations, for it is more effective when the attacker is two arms lengths away and has to advance to attack you and may have others to help them. Another limitation is if the attack goes to the ground. But since the early forms came from Dato Ryu, Jujitsu can play a part, with the concern that with a multiple person attack this is the last place you want to be. To be really effective using Aikido, muscle memory is really important. To program muscle memory you have to mostly see a technique, think about the technique or actually do it and this adds up to 5,000. That is why to so-call master the movements of Aikido you have to do it for ten years or more. After this period you begin to focus upon the attackers energy and flow with it in a very relaxed manner. At 76 this works for me. I still practice Uechi-ryu, the three original (well mostly the first two) katas that came from Pangainoon. I find that this style blends very will with Aikido and adds to the close-in techniques that are sometimes needed. The martial art of Aikido, may not be important to you now, but if you want to continue in martial arts after 60 or 70 this style fits me. It may fit you sometime. Phil Porter,O’Sensei to some of us in USMA, who was my teacher and mentor saw great value in the blending of these two styles (his major style was Judo) I hope you do to. The passing of Sensei Pranin was a great loss, he gave us so much. Hopefully what he leaves behind is preserved. John – fantastic points. Thanks so much for sharing. A great perspective and welcome addition to the dialogue. We are also very thankful to Stanley Pranin Sensei for all he did for the aikido world. We will do everything we can to preserve that which he left behind. First of all, my condolences and prayers go to the family and friends of Stan Pranin, who was a true Aikido giant, and whose columns/writings brought me much joy over two decades. Second, thanks to Josh and Roy for looking forward and sponsoring this column about the future of aikido. I have been studying aikido since 1989, and hold a 4th-dan (under Sensei Bill Sosa and Sensei Rick Sosa in Dallas, TX) and have studied in other dojos (e.g. ASU Shobukan Wash DC; Aikido of New Delhi; Kurai Aikido London, and currently, Aikido of Dallas) I am also a student and certified Systema instructor under Mikhail Ryabko and Vladimir Vasiliev (since 2010). I was very fortunate in that both Sensei Bill Sosa and Sensei Rick Sosa emphasized not only aikido’s beauty (especially the flowing ‘dojo’ techniques), but also its ‘street’ effectiveness and martial aspects. 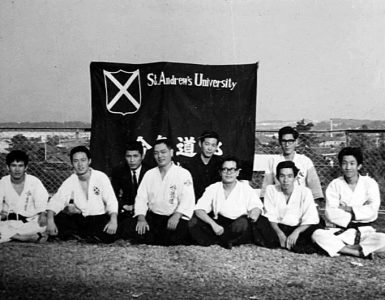 Both were pioneers not only of aikido in Texas and Mexico, but were also early proponents of cross-training involving boxing, ground work, karate, knife work, and working with Filipino Kali sticks, [plastic] guns, and other implements. They did this in order to highlight our limitations and to expose us to other martial arts. Tests in their dojo involved not only traditional aikido arts, but also ground defenses, defenses against kicks, weapons defenses, and defenses against various types of chokes/restraints. This allowed students to learn humility, respect, and honesty in their training. Systema training in Moscow under Mikhail Ryabko – for 3 years! – opened my eyes to a different, and I believe, highly-useful pedagogical approach. While Systema (like aikido or tai chi) is a very deep, internal martial art as practiced at the highest levels, its pedagogy allows new students – even those without any martial arts experience – to learn quickly, because of its emphasis on breathing and on overcoming fear (e.g. of the ground, of being hit). I once had a Systema student who was an overweight, unfit, 51-year old lady, who had never done martial arts or any other exercise. Within 6 months, she was able to roll comfortably on the floor [without mats], and easily able to immobilize two larger, more experienced, knife-wielding (!) attackers, one of whom was a former Marine police officer and combat veteran. Per Systema’s Konstantin Komarov (one of its leading teachers and also a Russian GRU psychologist), the ground is a natural teacher and helps students reach their ‘psyche’ and tap into their natural potential quickly. I have seen similar progress with aikido students who cross-train in BJJ, Judo, Tai Chi, Filipino arts, and other styles of wrestling and jujitsu. Thank you for your thoughtful and insightful response. It’s great to meet you and have you as part of our extended community. This is a very interesting and important subject and I’m glad it’s been brought up for open discussion. – He doesn’t believe in the system he is trying to defend, saying he would get his @ss kicked but a high level exponent of the art can make it work, thus delegating to others to prove that Aikido is effective. -He doesn’t even know the founders name, this alone proves clearly that he has no idea about Aikido and his point of view and opinion about the art is poor. -He said there is a video from the 70’s that shows the founder doing an “exposition”, but the founder passed away in 1969, this guy doesn’t know even the most essential chronology of the art. -He has unrealistic ideas and expectations about the way techniques work in real life, which means he has never been in a real or even simulated situation to test his knowledge. The way Aikido is practiced in most Dojo now days is not meant to and would not work against an experienced or trained or seasoned attacker. This does not mean the techniques and tactics of the art don’t work, but the training method that is being currently used is not going to provide the tools for an effective self-defense action. In order for these techniques to work, they must be practiced against realistic attacks, and drill them over and over testing them with uncooperative partners, and get as close as possible to what could be a real confrontation. The goal is to AVOID violence from happening at all costs, and if the attack is imminent finish it quickly to avoid further damage to the parties involved. If the tools are used in the wrong level, the result is either the use of excessive force for which we can be liable, or non-sufficient force which can cause us serious physical damage or death. Aikido techniques would fit in the 3rd category Empty hand submissions, this works the best before the aggressor starts a committed attack. To deal effectively with the higher levels of force it is necessary to cross train to obtain the required tools. Taking as base the MMA competitions where most techniques are allowed, as we all know no single art on itself would provide the tools required to make a trainee proficient in competition. But in order to acquire the skills to have a chance at victory in a sports match it is necessary to cross train. I have been with the martial arts for almost my entire life. There was a point in time when I had no where to train and had just moved to a new city. I found an ad for Aikido and decided to jump in. Never have I left a martial arts class feeling as “at peace” as I did that day. When it was time for my daughter to start her journey, we went to Aikido and we stayed there until the Dojo had to move out of town. There is a side of the economics of the Dojo that makes surviving in certain places really hard. That said, Aikido was priced well over the market rate before everything in my area grew more and more expensive. I would probably choose Aikido as my go to martial art, given the opportunity… but in this time period it is priced so high, that the average person just can’t afford to do it. Even when I just been practicing for 3 years I came whit the same dilema; is this effective on the streets? This is my conclusion: im 47 years old and I think I been on street fight about 10 or so times. Mostly in my teens ( my chances to be in one again aré very low) I been watching a lot and i mean a lot of videos of commun people fighting and saw one or two for real and I can tell against a 90% of Your adverarsaries wich they dont know how to fight we aikidokas have a very great chance of prevail. So why not practice and art that helps transform people in a very positive way. Help our grow spiritually. Be more fit and give us real chance to defend our selves in the case is need it. I agree Aikido maybe will be a lot better art to defence if mixed whit judo or Jj but if we can comunícate the real use and escence of our art I dont see why it have to die. practicing Aikido is a choice,moving like an aikidoka needs practice,working or not working is not the goal,ending a fight when it’s occur is the results. When I hear people argue about the effectiveness of aikido, judo, bjj or other martial art in real life, on the streets, i wonder what exactly do the mean the real street. If someone is pointing a 9 mm pistol at you on the street, what skill will save you? If a 3rd degree BJJ BB faces 3 opponents with baseball bats on a parking lot, will his skills help him? Would You you want to use Krav Maga or Система in a drunk bar fight and seriously injure or kill your opponents? I think that every martial art is more or less useful depending on the setting. If you are a bouncer, aikido is perfect for you, if you are a MMA fighter then BJJ may offer advantages, if you are a commando, then a more deadly skills will be used. Another example of useless arguing what is better : a hand gun, AK 47 or a sniper rifle? The answer also depends on what you using it for. Excellent points. We agree with you 100% and actually so does Roy Dean. One of the problems in the public perception of aikido is that people tend to make apples to oranges comparisons. Roy’s intent is to help people outside the aikido world to understand the benefits of aikido, where aikido’s strengths and specializations fit in the larger fabric of the martial arts world, and to inspire us to reflect on how we improve ourselves, the art of aikido, and how we communicate about the art in order to make a better future for aikido. 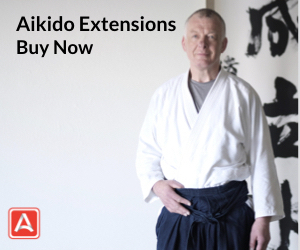 All the examples you cite and excellent and a great way to communicate about aikido. Thanks for joining the conversation! Although I did not get to participate in your survey, I agree with its findings. Your question to the Aikido community at large is truly pivotal: Can we revitalize Aikido together? If so, that would be a great demonstration of the effectiveness of the Aiki concept. I have loved Aikido since my first moment on the mat in 1999. I think the world needs Aikido desperately. I hope I will be able to help in some way. Thank you for your feedback Jonathan. Aikido is a fantastic art and if we can elevate it further, it would be an excellent demonstration of the aikido philosophy as you point out. I also hope you can help in some way. Just joining the conversation is a start and hopefully we can find ways to take coordinated action together in the future. I did Judo as a kid then got hooked on Aikido in my late teens. It was more the ideas therein than the art. To me, even way back then, 37 years ago, it was obvious Aikido was not realistic, but I knew it had something, and that something was lost, and it was my job to search for it. Knowing it was not realistic I continued with Judo, then Jujutsu, but kept up my practice of Aikido throughout. My conclusion is that Aikido has lost what it was supposed to be … but that is, now, to me, what makes it all the more interesting. I feel sorry for those that have only ever experienced Aikido, typically through its list of waza – the grading syllabus, and it is a fact that they will just never get the idea to search for something that might be missing. If Aikido could get itself on track and research, study, and teach aiki, people would come flocking to Aikido , even BJJ, wrestlers, boxers … everyone. I agree entirely. Most of aikikai practice now is Colluded Dancing.. This is not how I practice nor how I will practice with others.. When I teach the juniors I always give them the martial and kuzushi perspective.. My practice feels more alive with Martial Sense to it. I am very unhappy when I partake in Dryland Swimming type of Flowchart aikido practice. Aikido deserves better. Thanks for sharing this post. BTW from Toronto to Irvine CA I visited your dojo last April. I loved the class. I will visit again next time in LA. PROMISE. I have practiced/experienced a number of styles over the 30 years I’ve been in Aikido now and only two styles really measure up, Iwama and Nishio Styles. I have not experienced the Chiba Style. I heard and and read too many really poor stories about Chiba Sensei, so I decided not to explore his style cause I felt he had a poor spirit. Stan Pranin wrote that he thought the Nishio Style was the future for Aikido, but it is little known in the U.S. I’m probably the only direct/close student of Nishio Sensei east of the Mississippi River. I’m known in the Tokyo-Yokohama vicinity in Japan and by Nishio practitioners in California, and longer practicing Iwama practitioners in the U.S. but otherwise unknown. I think I can safely say I’m probably the most proficient in Aiki-weapons in the Southeast cause I know two styles where most practitioners only know one style. Aikido is dying because so many teach by wrote without looking for realism. So many tests are not really tests. Hardly anyone fails. There is not a real grading system for tests. The Aikikai has instituted the Shidoin certified teacher and certified teacher of teachers system which is already being watered down, so it’s really another income stream (tax) for the Aikikai. I have to go. There is so much more to be said, but I will have to put in all in an essay. I trained at the Aikikai in the 90s and enjoyed it very much but have done quite a few martial arts since then. I enjoyed my time training and I met some amazing teachers, including legends like Yamaguchi sensei and Endo sensei etc as well as O Sensei’s son, the first Doshu (I was honoured to get a Dan certificate from him). I think in terms of effectiveness, it’s a rather curious debate. If you approach Aikido as a form of budo, well, nobody criticises Iaido (which I practice) or Kyudo as not being ‘practical’ enough. I am sure in a real sword fight circa 1600 most modern Iaido ‘masters’ would get sliced and diced. So maybe Aikido people shouldn’t worry what BJJ people think as BJJ is coming from a different place and different mindset. However, it’s when Aikido people start talking about self defence and effectiveness that problems tend to arise; in conventional Aikido, I do think the lack of training in different kinds of strikes and the assumption that ‘atemi’ will just work is a problem, for example. I think, with the greatest respect to the Ueshiba family, it would be good to adapt to the times and encourage some more innovation or possibly older techniques from Aiki Budo maybe. If you look at O Sensei, he was all about innovation and adding what he needed over the years, his approach changed massively over the years and wasn’t static. Or maybe you should all stop worrying about what other people and just practice your Budo art! You can always go to extra classes in grappling or striking, there are plenty of schools away from Japanese martial arts. Anyway, big respect to you guys, and Pranin sensei’s passing was a tragic loss. 1. The fight is one vs. one. 2. There are no weapons involved. 3. The ground is appropriate for “rolling” (i.e. not an asphalt parking lot with broken glass, and used syringes or condoms laying around). Joe Rogan, being who he is, will only accept Aikido if it holds its own in a one-on-one match between a skilled Aikido Kai vs. an equally skilled BJJ practitioner. Greetings! I agree 100% about your thinking on the strong points of BJJ and the areas where it’s not well suited for self-defense applications. However, I’m not fully convinced yet on the second point regarding Joe Rogan. Some have expressed the same feeling as you, both others think that he is open minded enough to give aikido another look in an impartial way and perhaps have a healthy dialogue around the differences between competitive/sport based arts and traditional martial arts. I think it might be possible to use some examples (like some of the great ones you use above) to highlight some of the strengths and areas of specialization of aikido. Thank you for joining the conversation! Like most of us I actually came to Aikido world true other martial art. In 1987 I start Aikido aside of my Karate teaching.my Sensei Aytan ben Meir come from boxing into Iwama style.and this combination gave us the students unique view on real Martial art call AIKIDO.the way I see martial arts is like the word .”if you want peace prepare for War”. I move to Japan and face many direction or I must say understanding of O’Sensei Teaching.to any direction….the biggest problem start by the leading group of teacher that talk about Aikido as LOVE PEACE BEUTY and so on. They miss the center point of love and war in O’Sensei teaching and understanding.IF YOU WANT PEACE PREPARE FOR WAR. In many dojo I visited ATEMI is almost taboo .no one do..no one talk….and this student grow without knowing this .NISHIO well said in is legendary book Aikido without Atemi is not Aikido.and other Fukakusa Shihan said if you want only BEUTY better study Ballet. I don’t have solution under my sleeve ,but it’s needed to organize what call BACK TO ORIGEN .and I hope that person will show up and for sure I will be on his/her side to make it . Thank you for posting this, Mr. Dean. I have been concerned for some time that aikido is marginalizing itself, and it is doing so from within out of neglect for martial integrity and politics. It has degraded so far as to give aikido the reputation as a laughing stock among many. Aikido is certainly not the only art to suffer from this problem, it is one of many which has been diluted over decades. There are those of us out there who practice, teach, and have our own dojos who have dedicated ourselves to the martial effectiveness of aikido and are contributing to the positive future of aikido. If there was only a way to network ourselves so we could help one another. I’d be delighted to connect to any instructors or students who wished to take action to further this cause. How we will accomplish this is through honing our own skills, both in the art and how we teach so that we can create solid competence and capability in our students. We do this through honesty about ourselves, our training, and our art. You have contributed honesty, and I thank you. of all who replied above, i’ve only practiced with sensei tristan chermack, at one of our fellowships at shuurin aikido dojo in omaha, ne. so, i’m grateful for that and giving this bow. i began aikido practice in ’99. i’ve come to this practice from having studied and practiced taekwondo, fencing (western, not kendo), and tai chi ch’uan since the early and mid 80’s. what i love about the potential future of aikido is its application to the so-called bouncer’s arts or bodyguard’s arts. i come from an active pacifist background. i understand that the one who attacks is not always an enemy, but sometimes only a drunken brother or friend. 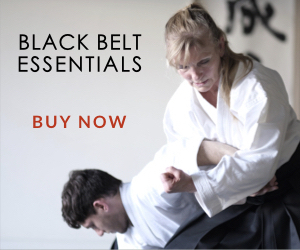 aikido offers a range of response options that are non-lethal. this is to uphold that even any particular aggressor’s life is worthwhile, however misguided by some certain circumstance. i practice with the mindfulness that not only is my own life valuable (self-defense), but that also, much aggression is simply misdirected. if the aggressor had but a moment to consider, they might not pose themselves in such a way. the evasions, pins, holds, and immobilizations are of most benefit to my aims. How could anyone in their right mind disagree with what Joe Rogan said? What specifically he was talking about and that dumb video they were watching? I agree with Roy Dean and think he would be able to show aikido in a positive light with so much negativity surrounding it within bjj and mma communities…. I also believe crosstraining in other arts is essential for aikido to move forward and survive. Im a nidan I started aikido in 1997, my sensei encouraged me to train FMA and ironhand in 2004 earning a blackbelt in that system, also trained some kali, judo (mostly newaza) and kung fu for a few years each and it has helped the aikido tremendously..but the aiki also help me be relaxed and flow on the ground. Will probably continue with judo or bjj in the future to gain more understanding in those arts. Peoples negative opinion of Aikido is coming from a place of ignorance or overthinking..If you understand the true essence and principles of aikido and train with sincerity..it does not matter what ufc commentators think…the people who know are not posting here..
thank you and please keep on. you’re making the day of average folk everywhere who want to train and learn well. at least as well as we can. thank you. Thank you for the encouragement. None of us are really average though. Everyone really brings something unique to the community. We’re glad to have you be a part of it! The question is, in the context of self-defense ( it is not a sport ) does Aikido develop physical and mental posture that reduces the probability of the practitioner being a likely target for a predator or does it develop sufficient peace of mind and confidence to increase the probablility of the practitioner being able to avoid or defuse a situational bomb or not themselves become one. In the end, self-defense is defense against the self. If you want to fight others, always use a weapon and have others on your side. So, if that is the question, then the answer is “yes”. So which is the best martial art? The one you’ll practice. This is an admirable approach and Aikido will, I’m sure, get back to it’s roots and thrive again. In my humble opinion we, as an Aikido community, would also greatly benefit by exploring Aikido’s Daito Ryu (DTR) lineage as it is the very essence of combat effectiveness. I had the privilege of attending a mainline DTR class a few days ago and it was immediately apparent how devastating the techniques could be, while still employing the same principles that we know and love from Aikido. Aikido applications when applied swiftly and with precise timing can be very devastating there is no doubt about that. Training this timing and this ability to act swiftly is where most fail I believe, as it’s difficult to train this way without getting seriously hurt. Learning the basics takes immense personal time which is also where most fail as they don’t see the relevance of the basics until they reach high level, before reaching these levels most quit. Free style fighting I believe needs to be incorporated into grading at higher levels. There’s no point being able to demonstrate choreographed techniques with precision if you can’t employ these techniques in an unchoreographed scenario. Which is the exact reason MMA cage fighting as a sport has reached extreme popularity. This guy is absolutely right. I’m someone curious about Aikido and it’s possible benefits in providing self defense training. I work in mental health where the likelihood of being assaulted by patients is very high. I’m drawn to aikido because of the ability to subdue an attacker without really hurting them. I feel like this ability to gain leverage over an opponent without leaving them black and bloody would appeal to many people. Unfortunately aikido doesn’t seem like an effective form of self defense and more of just a highly coreagrated art form. This is where Krav Maga succeeds and Aikido falls short. Krav Maga banks on it’s practicality and isn’t partial to incorporating elements of other fighting styles into it’s program. I feel like Akido needs to evolve to stay relevant.